Sierra Leone has today – 7th November 2015, been officially declared Ebola free by the World Health Organisation, after meeting the standard requirement of 42 days without a new case of the disease, and since the last patient was discharged from hospital. 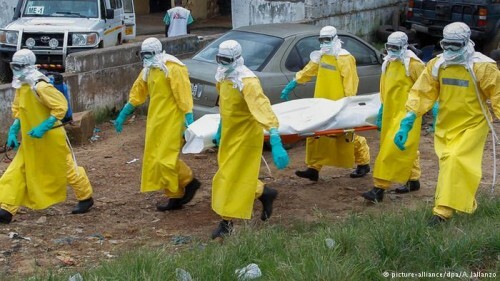 Today’s declaration may have come one day earlier than expected, but who cares, certainly not the six million people of Sierra Leone, who have watched and mourned as over 4,000 of their compatriots died of the virus in the last eighteen months. But the cost of the crisis is yet to be counted. The country’s economy has contracted with falling export revenues and declining business activity. 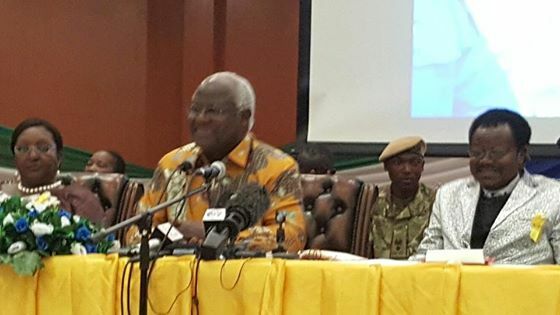 President Koroma has today announced the ending of the state of emergency regulations, which was aimed at reducing levels of transmission of the virus across the country. But the most difficult task now begins. 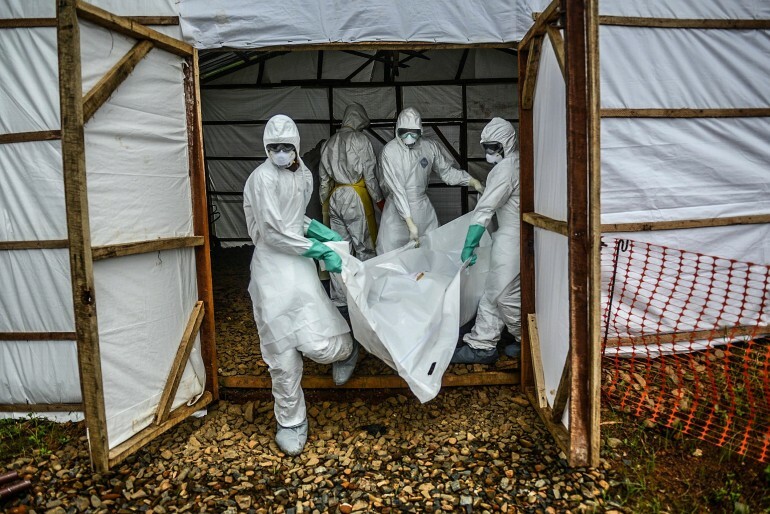 Sierra Leoneans must now take full responsibility for vigilance, as the country now enters a 90 day period of voluntary surveillance, ensuring that anyone showing signs of the disease is quickly isolated and treated, and all contacts traced and placed in quarantine. Today, Sierra Leone marks the end of the Ebola outbreak. We give thanks to Almighty God, and I stand here humbled by the dedication of Ebola Response Workers, whose heroism is without parallel in the history of our country. As I traversed the length and breadth of our country during the outbreak, their heroism greatly inspired me; seeing their bravery first hand in treatment centres all over the country reinvigorated me; and I vowed again and again to do all in my life to end this scourge. Because of them, I stand here today as your Head of State to say that we prevailed over an evil virus, that we persevered, and that we have overcome. The disease challenged the very foundations of our humanity. We had to change the way we grew up caring for sick relatives; the way we mourned loved ones; the way we showed affection when greeting each other. And we complied with necessary but difficult restrictions on movement and traditional practices. Sierra Leone did not know about this disease; the world at large was astounded by the ferocity of the virus in our sub-region. Everybody was learning new facts about Ebola, and some of the advice we received from the experts at the earlier stages of the outbreak proved less effective in fighting the virus. By the time the experts mastered the tools to attack the evil virus in our region, too many lives had been lost, too many wrong turns made; too many actions taken that intensified the isolation of our country and halted the great strides we were taking to improve the economic and social life of our people. Every district and most chiefdoms have had first hand experience of this terrible disease. A total of 8,704 Sierra Leoneans were infected during the outbreak and we lost 3,589 of our brothers and sisters, our mothers and fathers and our sons and daughters. We lost 221 healthcare workers including 11 doctors. I pause to remember all those who lost their lives and I pay special tribute to our healthcare workers and other Ebola Response Workers who made the ultimate sacrifice, losing their lives as they tried to save the lives of others. May their souls rest in perfect peace. Their deaths were very low moments for us, but we kept on fighting. We still kept coming forward to join the fight as healthcare workers, as hygienists, burial team members, lab technicians, swabbers, surveillance officers, social mobilisers, ambulance and non-ambulance drivers and motorbike riders. In total over 35,000 Sierra Leoneans were formally registered as Ebola Response Workers and there were many more who volunteered to serve in the fight without recognition or acclaim. We salute these volunteers who served in various capacities within our surveillance system, manning checkpoints, and telephone hotlines, digging graves, and counselling the sick and bereaved. We also owe our victory over Ebola to the extraordinary actions of the international community. We remain grateful for their solidarity, their heroism, and the bravery of the thousands of international Ebola Response Workers who answered to our call for action against the greatest enemy our country has ever seen. We are victorious because of the truly amazing role played by communities all over the country. From Kailahun where the outbreak started to Bombali where the outbreak ended, communities achieved extraordinary feats in the face of great adversity. All of these efforts made us get better at fighting the disease. With these efforts, the world has come to know better about the Ebola Virus Disease, with these efforts, the International health community, the World Health Organization and other global health partners now know how to scramble emergency responses to global health pandemics. With these efforts we built a strong response system; and our countries are now prepared to deal with these problems at the onset of early warning signs. We have also been able to make considerable progress in treating the disease. Earlier on the accepted dictum was hopelessness, we were told that you had a 90% chance of dying as there was no known cure. Now we average a 70% chance of survival just by providing the mechanisms for early detection and management of prospective cases. Fellow Sierra Leoneans, we declared a State of Emergency because the very existence of the country was at stake. Today, I have commenced discussions with the leadership of Parliament to end the State of Emergency. But we should never lower our guard. I fully endorse the WHO recommendation for enhanced surveillance to continue in Sierra Leone for the next 90 days. The Ebola outbreak has ended in Sierra Leone but we must remain vigilant and we must remain alert. The history of Ebola in other countries has taught us that we must be prepared for a re-emergence of the disease in the future. My Government is therefore committed to maintaining an enduring response capability even after the Ebola outbreak is over. We will retain adequate laboratory testing capacity and an appropriate number of isolation beds and treatment beds; we are confident that we now have the systems in place to ensure that we can respond rapidly and effectively in the event of a re-emergence. We must continue to sustain the new habits of hygiene, sanitation, and vigilance. To fully secure our victory, we must continue with the newer and better ways of caring for the sick, the healthier ways of handling the dead, and the progressive habits of hygiene, sanitation and vigilance that helped us defeat the virus. We will continue to swab all dead bodies to enable us to remain certain that Ebola has not returned and is undetected. 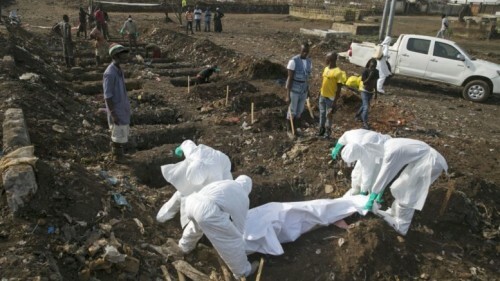 Safe and Dignified Burials will now only be implemented when there is a suspicion of Ebola. During the outbreak, our traditional healers supported the response and agreed to a moratorium on their practices. My Government is committed to working with traditional healers to introduce safer practices in the conduct of their work. Before the outbreak, our nation was on the verge of its greatest economic breakthrough. We were in the middle of the biggest infrastructural development in the country and we were constructing roads everywhere. We were being hailed for sustaining our peace, strengthening our reforms, promoting diversity of voices in our media, and bringing more youths and women into decision making positions. The Ebola outbreak halted actions on many of these areas. It is a testament to the resilience of all of us that whilst the outbreak reversed our economic prospects, dented job creation, and slowed the pace of road construction and other infrastructural development, we sustained our peace, subjected our actions to the judgement of the courts, and got competent bodies to scrutinize the management of resources. Democrats should not be afraid to subject themselves to the scrutiny of the courts, the Auditor General, and Parliament. And citizens of our country must bring forth their opinions with firm regards for truth, civility, the right of others, and concerns for the peace and security of Sierra Leone. We salute all those civil society activists, all those journalists, all those Paramount Chiefs and traditional and cultural heads, religious heads, musicians, political parties, lawyers, youths, women, councillors, and MPs who acted to sustain our democracy during the outbreak, and whose actions strengthen our response and helped defeat the virus. 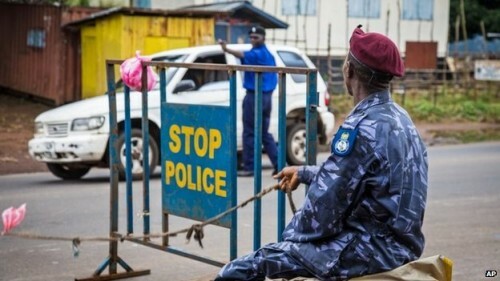 I salute our security forces; we are ever grateful to our soldiers and police officers for their services as health workers, engineers, surveillance officers, guards in quarantine homes, borders and checkpoints, and all other enforcers of law and order during this most difficult period in our nation’s history. I applaud the business community, construction workers, the teachers, the market women, the bankers and public servants who braved the hazards of the outbreak to sustain our lives and secure many of our achievements. I acknowledge with gratitude the dedication and commitment of the Ministry of Health and the NERC to ending the outbreak. We are grateful to the Sierra Leone Diaspora, who acted for mother Sierra Leone by providing resources to families and communities, and expertise to the national fight. The fight was long and the road was challenging. And many a time, in the frustrations of loss, tragedy, and the seeming intractability of the disease, falsehoods and untruths were uttered, communities and groups wrongly accused and people’s character unjustly tarnished. A new beginning requires leaving behind those weaker aspects of our words and actions; a new beginning requires forgiveness of those moments of despair. This is why I have requested the Attorney General to, within that which is allowed by law, discontinue action or end punitive measures against those who had acted contrary to the regulations set forth in the State of Emergency. But the new beginning also warrants us to hold onto the better practices, the just scrutiny of actions, more civil discussions of events in the media, and putting this country back on the road to economic development that pays greater attention to the details of health, hygiene and sanitation at the personal, the school, the community and national levels. The new beginning warrants that traditional practices that have a negative impact on health, and which were discontinued during the outbreak, should not be returned to. 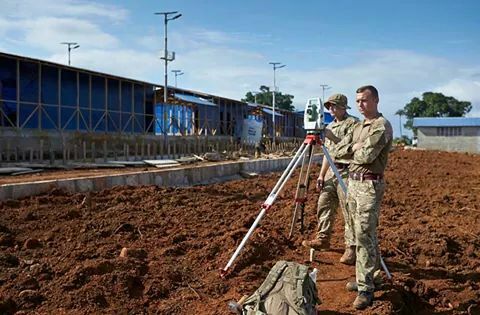 Our Post Ebola Recovery Programme is inspired by this warrant for a new beginning. We defeated Ebola because we paid great attention to details. We prevailed over the evil virus because we increased our professionalism in handling the sick, and in burying the dead and protecting ourselves against hazards. I witnessed this first hand in many of the more successful treatment centres I visited. No one is above the regulations put in place in those centres; no one should be above the protocols put in place to promote the sacred interests of this country. We will continue to empower the Audit Service to probe into the management of resources, we will continue to call on Parliament to hold all to account, we will continue to respect civil discourses in our media. These are our pledges for the new beginning; I am personally overseeing the Post Ebola Recovery Programme as Chairman of the Presidential Taskforce on Transition and Recovery. As I did during the fight against Ebola, holding briefings everyday and traversing the length and breadth of our country, I will pay close attention to the details of the recovery. Reduce overcrowded classrooms in our schools. In addition, we remain committed to on-going work to support survivors. This includes a comprehensive package of support for Ebola survivors, including free healthcare and psychosocial support. Our 4,051 EVD survivors are our heroes. They have shown great courage in overcoming the disease, and a great many of them have shown heroism in contributing to the Ebola response. There must therefore be no place for stigmatisation or isolation of our survivors. It is the duty of all Sierra Leoneans to ensure that these heroes are reintegrated into our communities. We have taken steps to cushion the economic impact of the outbreak on our people. We have increased salaries by 15%, supported 23,000 vulnerable families with cash transfers, and we provided grants to local councils and gave them the flexibility to utilise the funds in fighting Ebola in their communities. To increase employment prospects for our youths, and stimulate the economy, we resumed suspended infrastructure projects, and restarted the reconstruction of major streets in Freetown. We have also been able to mobilize financial resources to meet some of the shortfalls in government revenues occasioned by decline in economic activities during the outbreak. We are also working with investors to resume iron ore mining and other operations within the next few months. Fellow Sierra Leoneans, we must give thanks to God almighty for our victory over Ebola, we must ask for God’s blessings on those who lost their lives during the outbreak, and we must recognize the immense sacrifice and heroism of our Ebola Response workers. With the approval of our religious leaders, I hereby declare Saturday November 21, 2015 as our national thanks giving day; and by the powers conferred on me as President I also declare Friday December 18 as a day of recognition of Ebola Response workers. This new beginning calls for greater attention to the details of our habits – from our attitudes towards our own bodies to our increased attention for family, community and national safety and security. The new beginning calls for sustaining the collaborations across families, communities, chiefdoms, districts and regions that got us to defeat Ebola; the new beginning warrants greater attention to the needs of the vulnerable amongst us – the Ebola Survivor, the orphan, and the widow. But more than ever before, the new beginning calls for greater watchfulness and resilience in the face of the great threats facing our world – climate change, evil viruses, intolerant fanatics and newer forms of crime. Great opportunities beckon. We must utilize the watchfulness and resilience we have acquired in fighting Ebola to grab the great opportunities that are available to a determined nation. We are a people of great determination; we are a country dedicated to Unity, Justice and Freedom. May our vigilance bring forth the fruits of these great ideals; and may the lessons we have learned during this outbreak guide our dedication to making our country better than ever before. THE WORLD GREATEST WELCOME NEWS HAS LEFT WITH QUESTIONS TO ANSWER! The discovery of the Ebola virus comes at the right time and great welcome with deep appreciation to the scientists who have made this breakthrough in their discoveries. The benefits are for the world even when not West Africans. Some are still left with the doubts, misunderstandings and confusions as to how Ebola came to the Mano River Union (Sierra Leone, Guinea and Liberia) in the first place, when the virus has already been discovered in DR Congo and it has be kept under seal in a flask at the University of London Laboratory for scientific research purposes ever since. In 1996, Professor Peter Piot , Director of the London School of Hygiene and Tropical Medicine discovered Ebola virus at the Institute of Tropical Medicine in Antwerp, Belgium. The virus was locked in a flask from a Belgian doctor in an African country called Zaire, now known as the Democratic Republic of Congo (DRCongo). i. Did the breakthrough come about as the storage of the Ebola virus in the university of London laboratory for scientific research and has West Africa been chosen for research to discover the effects of the virus on human beings? ii. Did the virus escape from the University of London laboratory and engage into attacking humans in West Africa? Perhaps Professor Peter Piot will have answers to this question. Now that the end of the outbreak has come, is the vaccination going to be made free for all West Africans who are still suffering from the side effects of this Ebola outbreak? The scientists who have made the breakthrough should have answers to this question. Readers must understand that “Sierra Leone possesses significant natural wealth – yet 80% of its people live in extreme poverty. Life expectancy is among the worlds lowest at 48 years, and Ebola has only put greater pressure on an already buckling health system. The Ebola crisis has left many unable to access healthcare in a country where malaria and HIV/AIDS threaten thousands. The economy has suffered too, with travel restrictions leaving many impoverished workers unable to get to work. Where lies the future? Another curiosity is directed to the African heads of state President Koroma of Sierra Leone, President Konde of Guinea and President Sirleaf of Liberia to clear the doubts and educate their respective nations properly as to whether they were in the know of the scientific experiments of Ebola in their countries without alerting their cabinets? We demand answers from the three presidents of the Mano River Union countries to this questions urgently.